This month's call puts Power Couple Joe and Tina Dukes in the hot seat and is designed for President's Club members. It will provide insight and advice on the millionaire mindset of Andy Albright and some of the Top Alliance Leaders. The Wednesday Call (TWC) for October 1, 2014: Andy Albright hosts a live conference call and meeting from National Agents Alliance Headquarters in Burlington, NC! Andy's live show covers all kinds of great topics, including training, information on team building, new developments that are in the works, and frank discussions with your fellow agents (beginner and top level managers alike!). If that wasn't enough, the live show also provides motivation and encouragement that will help get you fired up and ready to roll! Be sure to tune in and take advantage of the great info in The Wednesday Call. Andy Albright was live and loud for another episode of TWC in Burlington, N.C. 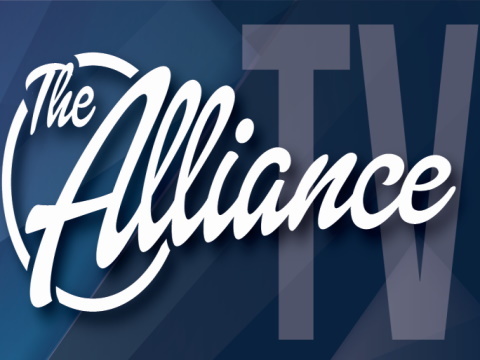 He was joined on the show by Kevin Woolley and Joe Dukes to talk about the Greek cruise The Alliance is taking in 2015. One of the things Andy discussed was bottling up moments in life and remembering them as you move forward in life. Last week, Andy talked about what made you go or what made you move and work every day. What is it that makes you push to do more in business and life? Marvin Osuna was a special guest and talked about being successful by working consistently. Andy explained the The Alliance helps people, teaches leadership, offers HotSpots meetings, shows people how to follow up, gets people started, helps people goal set, serves others and builds leaders. Part of that concept involves following the 8 steps, living by our 8 core values and using the system. The other big secret is to be willing to pick up the phone, dial people and ask questions to get better. The Live Show will air again on October 8, 2014 at 12:30 p.m. EDT. The Wednesday Call (TWC) for September 24, 2014: Andy Albright hosts a live conference call and meeting from National Agents Alliance Headquarters in Burlington, NC! Andy's live show covers all kinds of great topics, including training, information on team building, new developments that are in the works, and frank discussions with your fellow agents (beginner and top level managers alike!). If that wasn't enough, the live show also provides motivation and encouragement that will help get you fired up and ready to roll! Be sure to tune in and take advantage of the great info in The Wednesday Call. Andy was live and in color for another episode of The Wednesday Call from NAA headquarters in Burlington, N.C. The show opened with recognition of the GSB winners for August and the Top 10 HotSpots from around the country. Andy highlighted the latest Greek Cruise qualifiers that will be in the Greek Isles in 2015 with The Alliance. Matt and Stephanie Goodrich called in to the show and Andy interviewed the up-and-coming couple that is gaining momentum with The Alliance. Marvin and Rachel Osuna were in studio and Andy recognized the couple from Reno, Nevada. The Osunas stopped in to spend time with the NAA staff. Andy explained the myth buster training theory. Most think you hire and train people. You do hire and train, but you need to help people build too. Joe Dukes and Kevin Woolley were also in studio and shared their story with The Alliance. The Alliance reminded viewers that October War Parties are right around the corner. The best and brightest will be in 12 different cities around the country to help you grow your business. Andy talked about motivation versus ability. What drives you more? Do you want it so bad or do you not want to be a certain way? The Live Show will air again on October 1, 2014 at 12:30 p.m. EDT.